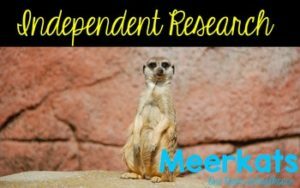 This is a mini version of my Independent Research files. It only has 2 web cams (instead of 3-4) and 9 links (instead of 15) to videos and research articles. The full versions also includes guided notes for students and a research report. To make this product easy to use, download it to each computer/iPad your students are using. They can click their way through the file to complete their research. Need help on HOW to teach nonfiction writing? Check out my step-by-step guide here.